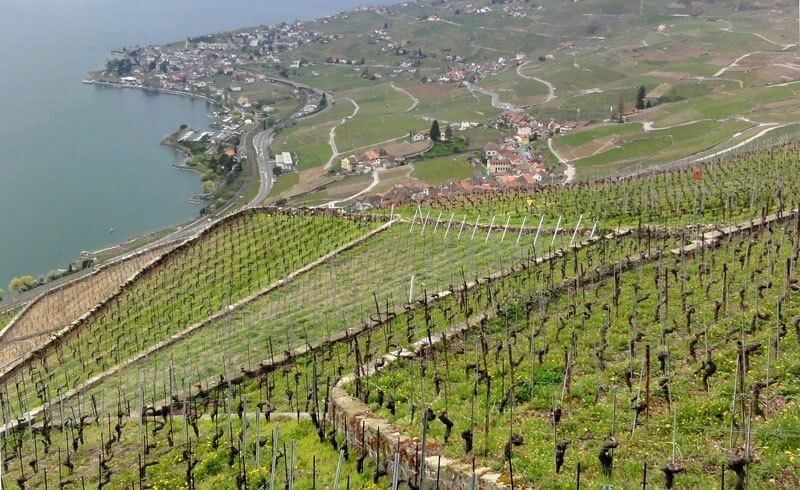 The historic vineyards perched along steep hillsides reaching up from the shores of Lac Léman comprise the historic Terrasses de Lavaux. A UNESCO World Heritage Site since 2007, this unique area between Vevey and Lausanne is a great place to sample Swiss wines and local foods. At a leisurely pace, my husband and I walked the nearly 12-kilometer route over two cloudy and blustery April days. Despite the weather, we had a great time wandering from village to village and taking in the scenery of the terraced vineyards, originally established by monks in the 11th century. 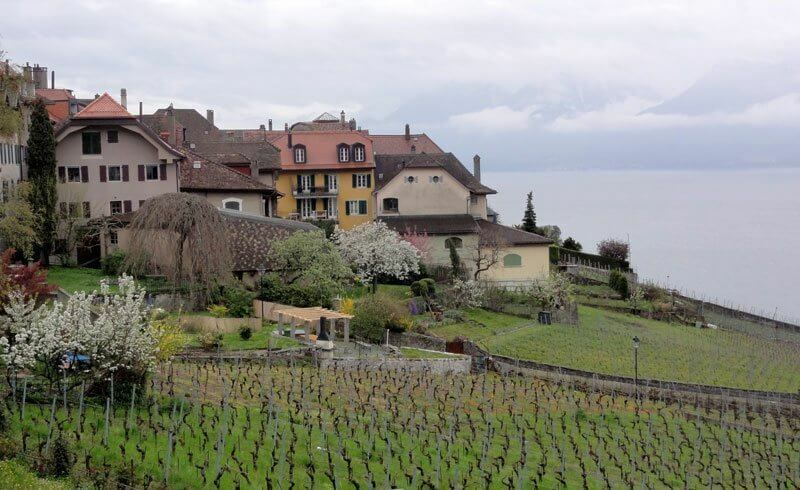 If you are interested in exploring the Swiss Wine Route along the Terrasses de Lavaux, here is a brief overview of our itinerary and some suggestions for planning your visit. 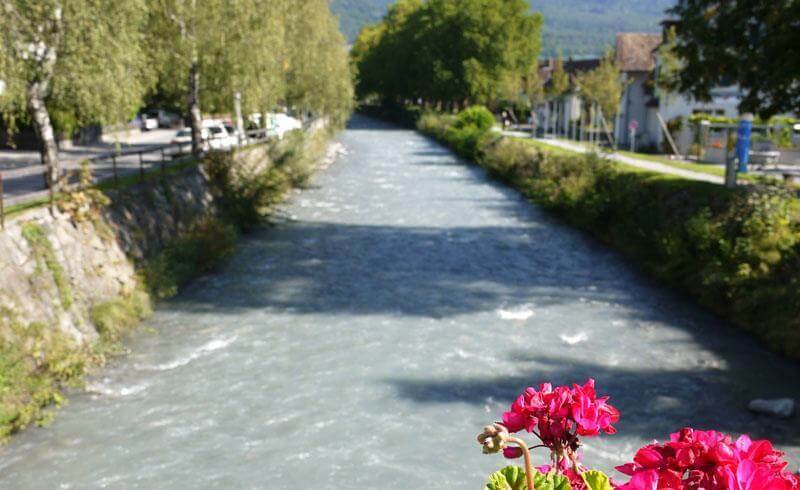 From Vevey, it takes about 3 minutes by train to reach the small village of St. Saphorin, our first stop on the route. We arrived around noon, but decided to keep moving along the trail since it looked like rain. The small village of St. Saphorin has a Caveau de Vignerons, but like most of the wine caves along the route, we found they were closed. 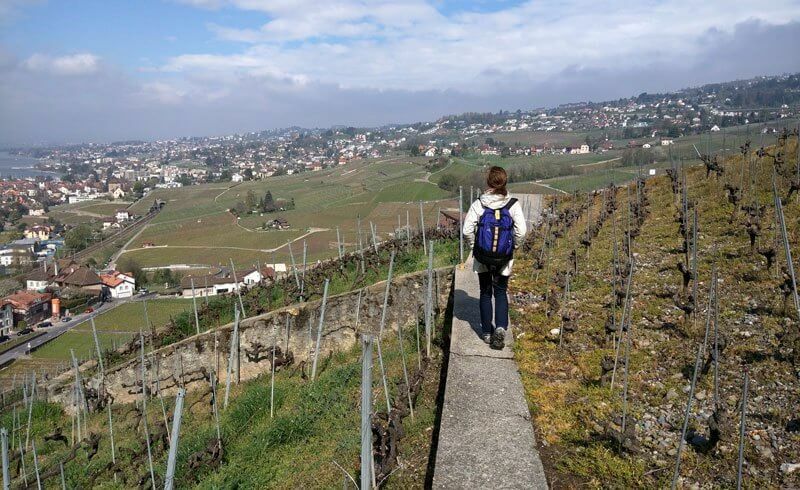 The high season for hiking in Lavaux seems to be the months of April to October. During that time, Thursdays through Saturdays are generally the days the caves are open, and typically opening around 5:00 PM. Outside of these times, I would recommend contacting the caves directly beforehand to try and schedule a visit. 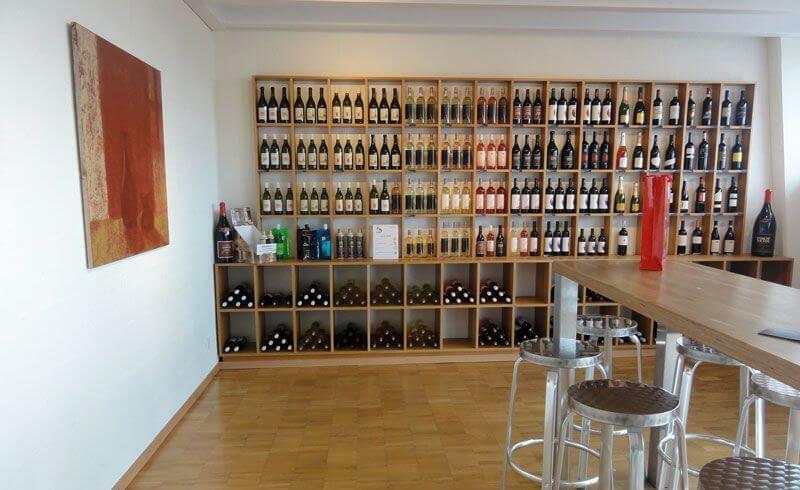 However, you can sample wines at Lavaux Vinorama in Rivaz - just a short walk down the hillside from the village center - which is open for wine tastings throughout the year (except in January). We did not get the chance to visit the Vinorama, but you will see we discovered another year round option for wine tasting in Lutry on day 2 of our hike. We actually did most of the Swiss Wine Route that first day, hiking from St. Saphorin to Epesses. 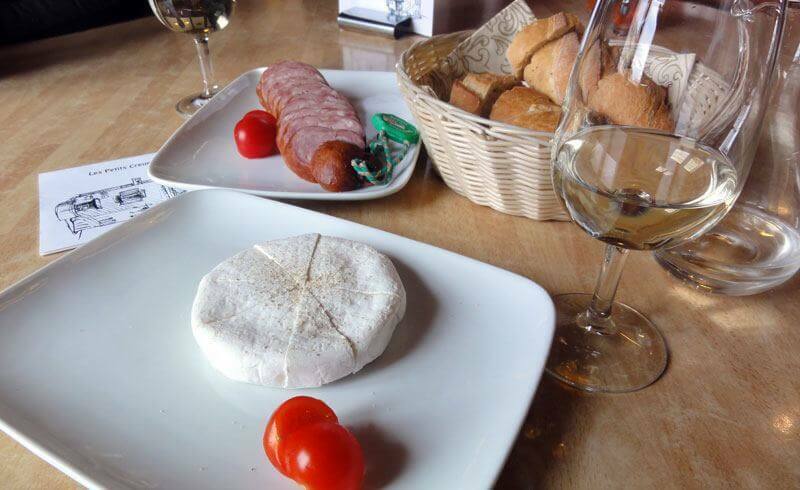 In Epesses, we stopped for some local white wine and a snack of Saucisson vaudois and Tomme at a great place called Auberge du Vigneron. Following our snack, we hiked up to Chexbres to our hotel for the night, Le Baron Tavernier. On a nicer day, we would have taken advantage of Le Deck - the hotel's lounge overlooking the vineyards, the lake and the mountains. Instead, we caught a show at the Cully Jazz Festival that night, which was a short ride on the PostBus from the hotel. If you are interested in exploring Lavaux beyond a day trip, Montreux Vevey Tourisme has information about a variety of accommodations. We caught another PostBus early in the morning at the station in Chexbres, which took us back down to Epesses. From there, we continued on the Swiss Wine Route to the village of Lutry. Thankfully, the weather had improved! In Lutry, we had a great time tasting wines at Terres de Lavaux, a wine cooperative that's open six days a week and throughout the year. We sampled several different wines from local Lutry producers. 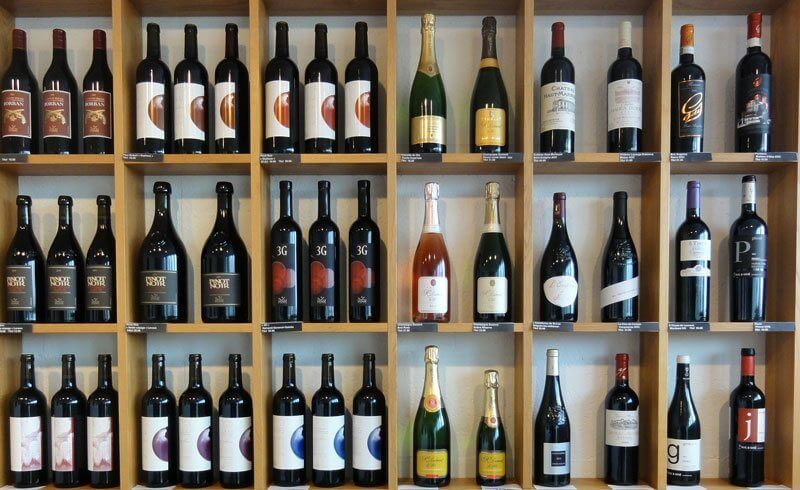 There is a large selection to choose from, and several people came in to purchase wine while we were there. 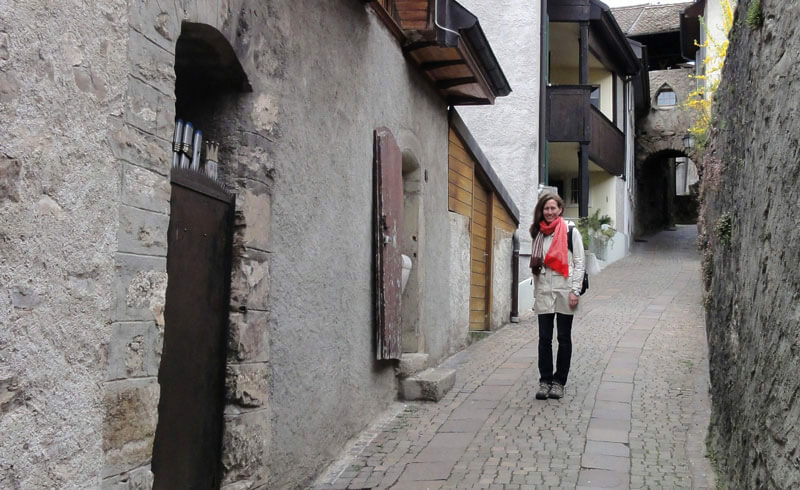 After we picked up a few bottles to take home from Terres de Lavaux, we asked about where to eat lunch in town. 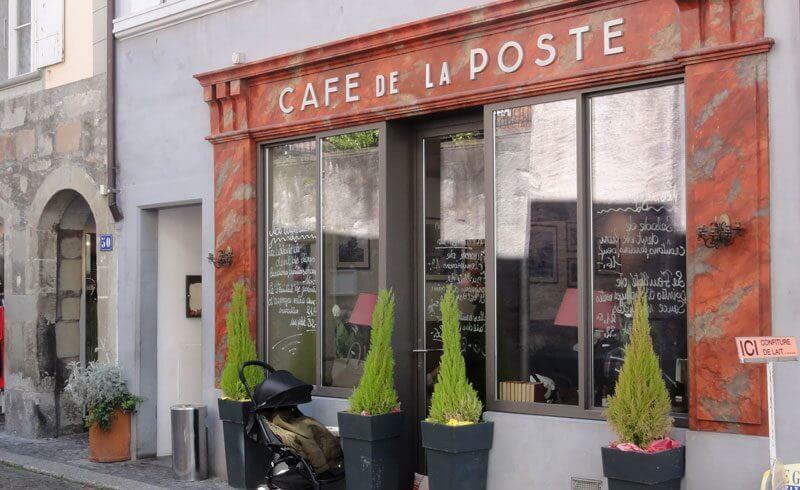 Café de la Poste was recommended to us, as it is known for filets de perche. We followed the advice, and our meal there was exceptional. We highly recommend this restaurant if you are in Lutry. After lunch, we also suggest a stop at Vincent, not far from the restaurant, for some irresistible chocolates. From Lutry, we headed back to Lausanne - about 10 minutes by train. For a relaxing 1 to 2 day hike with local wines, delicious food and incredible views (especially if you have good weather - we did not! ), consider the Swiss Wine Route. If you have time, follow some of the other Lavaux trails off the main route. Plan ahead though by checking the weather and making appointments if there are wine caves or restaurants you do not want to miss. Also, you can find special events, like the Cully Jazz Festival, throughout the high season, so you may want to plan your hike accordingly. Finally, there are guided tours and the Lavaux Panoramic, a small tourist "train on wheels" that can take you along the route.